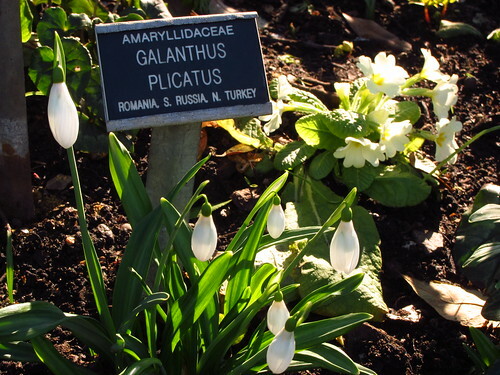 Chelsea Physic Garden is closed during the winter months, but every year opens its doors to the public for its Snowdrop Days event in February. 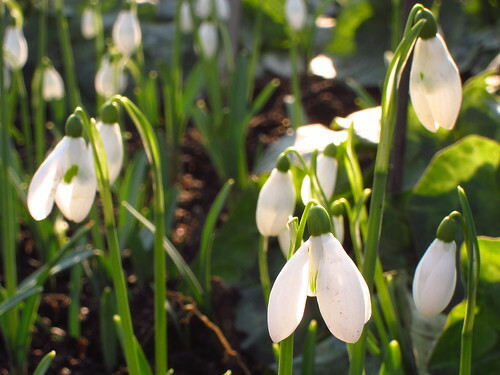 This year's Snowdrop Days are from 4 to 12 February–two more days to go! 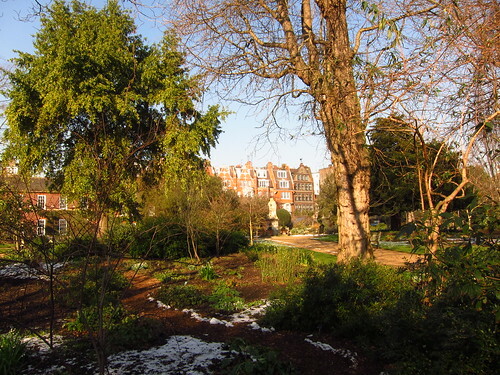 I went there on Tuesday; this was my third visit, the first time that it was sunny and there was snow (I've only ever been to the Chelsea Physic Garden for the Snowdrop Days, although I do intend to visit in summer some time). It was lovely. You wouldn't think at the moment that spring is around the corner, but here are heralds of spring, and there are many of them in the garden, on display in a plant theatre and growing in the flower beds. There is a snowdrop trail you can follow, and there are guided tours, too. For more information, see Chelsea Physic Garden's website.